Our range of specialised junk removals in Newham is the quick and easy way to deal with most types of waste generated by residential and commercial properties. Don’t sacrifice valuable living or business space to junk, rubbish and clutter when you can have us deal with the situation effectively and affordably. We handle most types of rubbish removals and will be able to organise for quick and inexpensive disposal and transportation of junk off your premises without making you wait around or jump through hoops of paperwork. In order to make every waste collection safe, swift and efficient we employ specially qualified waste management technicians. Our personnel is organised in teams which are fully equipped for the job at hand. In terms of technical capacity, we have all angles covered – our fleet of purpose-built waste removal vehicles allows us to collect and transport away large volumes of different junk and rubbish without any costly delays or further issues. · Office or commercial property waste like old files and paperwork, filing cabinets, redundant office equipment and electronics, commercial premises furniture, commercial kitchen equipment etc. · General household waste like old furniture and interior features, redundant house electronics and household appliances, leftover building supplies, discarded renovation materials etc. Perhaps the only thing we don’t deal with is hazardous (including biological) waste. For a full list of the items and materials which are not subject to collection, please consult with us over phone or email. · Responsible waste disposal practices – diverting as much waste as possible from landfills through recycling and reuse. Our junk removals in Newham are available seven days a week, under flexible hours and with good short notice availability. The garage is one of the places in most homes where large quantities of junk and unnecessary items tend to accumulate. That is why we have tailored a special garage clearance service which aims at helping you when you decide to get the rubbish out of your home’s garage. We will come fully equipped and prepared, load the junk on one of our Lutons and drive it to the depot for recycling and disposal. The benefits of getting us to clear off your garage are many, but the most important thing is we guarantee you will be subject to no hassle or stress. Newham is London’s Olympic Borough – the district was one of the six hosts of the twenty twelve summer Olympics and contains most of London’s Olympic Park, as well as the official Olympics Stadium. Currently Newham is one of the most ethnically diverse residential localities of the capital. There is no particular social or ethnic group dominating, making Newham a melting pot of multiculturalism. The Queen’s Market is arguably the best known open street market here. It is also a reason for a lot of controversy, because members of the local community oppose council plans for future redevelopment – those locals are gathered under the name Friends of Queen’s Market. We are not afraid of big-time projects. Our rubbish collection trucks have a capacity of up to 1100 kg and thanks to the diligence of our team, our fast loading equipment and tested methods, we are in a position to complete even the largest junk removal in Newham E6, IG11 you call us for in a timely fashion and without any delays and incidents. We are based in the district of Newham E6, IG11. 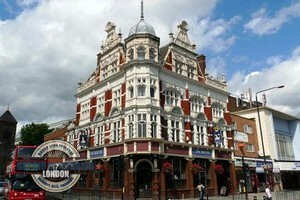 The area is the centre of the eponymous borough that is popular with people seeking comfortable housing in East London. The area is located to the North of the River Thames, approximately 8 kilometres to the east of the City. The Queen’s Market, which is to be found right next to Green Street, is a popular tourist attraction and shopping location in the vicinity of Newham.